Grab some nutmeg, mustard and mayo, and garnish your deviled eggs with those pretty red Japanese Maple leaves while you still can! The leaves will only be this pretty for a tiny little while, so I wanted to make perfectly seasonal, Autumn nutmeg-spiced deviled eggs for my evening snack. 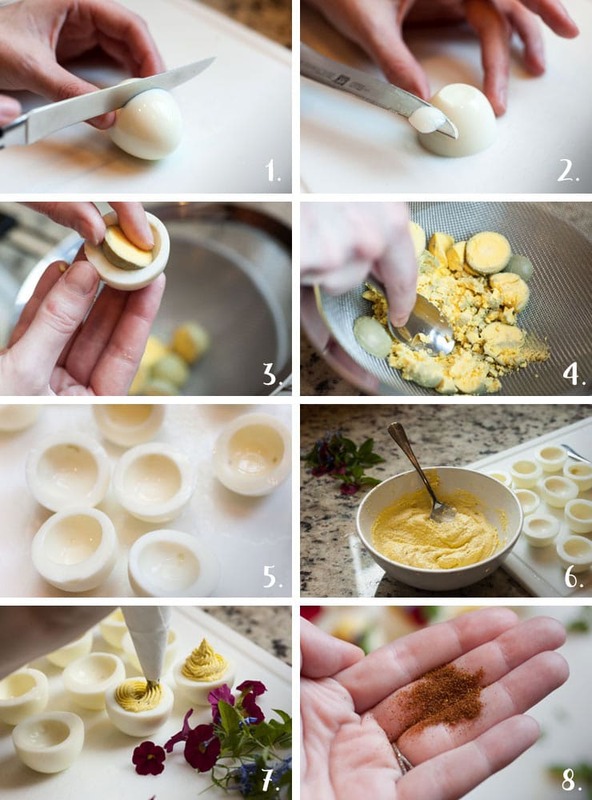 I’ve never used nutmeg in deviled eggs before, and I’m so happy I gave it a try! Just a teeny bit goes a long way. It’s such a surprising and delightful little flavor to put in a deviled egg! I also used a teeeeeny, tiny bit of smoked paprika to give it that “Cozy neighbors fireplaces and dry leaves on the chilly wind in the Fall” flavor. You know what I mean. The garnish of capers was also a yummy choice I haven’t tried before! Nice and salty with a rich, pickley flavor and fun little popping texture. These deviled eggs are full of surprising, Autumn flavors your family will love! A little shake of smoked paprika - less than ⅛ tsp. Tiny capers for garnish - about a tsp. Mix in 1 tbsp. of mayo, 1 tbsp. of mustard and 1 tsp. creamy horseradish into your egg yokes. Add salt, pepper and spices. Mix the ingredients carefully, making sure your consistency isn't too runny. Depending on the size of your eggs, your filling may seem a little dry, so you may have to add a little more mustard. You want your consistency to be similar to hummus. 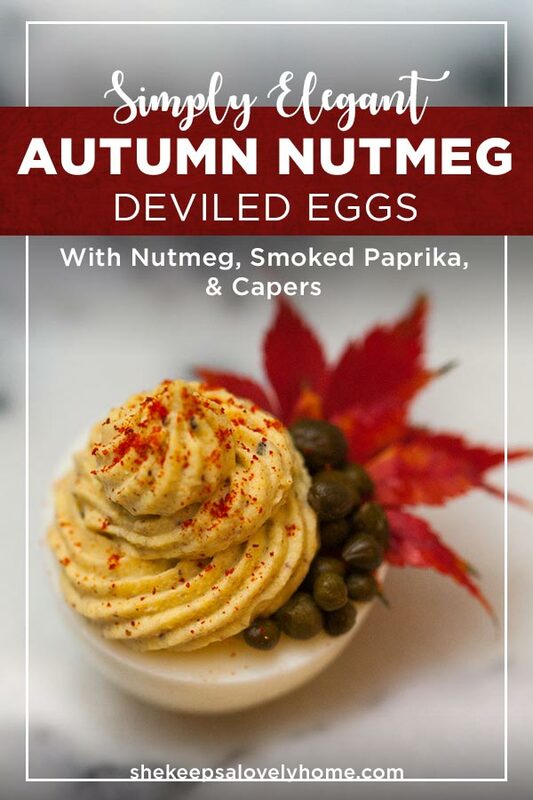 Garnish your eggs with pretty Autumn leaves, capers and a dash smoked paprika.